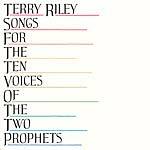 The debut release on Terry Riley's new label, from 2002; no longer available as a limited/signed edition, this is now released in mass market fashion, but with the same deluxe packaging. 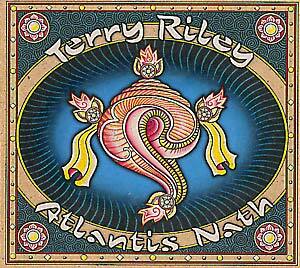 "Sri Moonshine Studios is happy to announce it's first release, Atlantis Nath, recorded, mixed and edited during the period of 1993-98 in Nice France at the CIRM studios. Terry's first big studio production since the 1978 Shri Camel is a 74-minute seamless journey featuring voices, strings, synthesizer, piano and loops from India. The CD is packaged in a natural paper 6-panel foldout with radiant Asian inspired illustrations meticulously designed and rendered by New York artist, Chris Harvey. Included on the recording is the final scene of Terry's opera based on the life and works of Adolf Woelfli, 'The Crucifixion of My Humble Self' as well as 'Emerald Runner,' 'Ascención' and 'Remember this O Mind.' Produced by Terry and the masterful CIRM Studios team of Luc Martinez and Michel Redolfi, this recording shines with state of the art sonics and performance. Terry sings and plays all voice, piano and synthesizer parts on these tracks with guest appearances by the Nice Opera String Quintet and Frédéric L'Epée, Guitar."